Isn't the main issue that we have arguably the worst net-minding in the NHL? Not sure goaltending was the problem last night. But it does seem like talent is as big an issue as coaching, at least for now. Defense is not what it should be. Injuries certainly a factor with this slow starts. What does seem to elude this team under Hakstol is consistency - they've had both insane winning streaks and insane losing streaks. But did anyone really believe they were going to be Cup contenders before the window closed on Claude Voracek and Simmons? Seems like the young complementary players might still be too young, and by the time they arrive the stars will be gone (or no longer stars). Thing is, they are irrelevant. I was there last night and there was so little energy (except for Gritty). The Sixers are the hot team, the Eagles are defending champs and love him or hate him Kapler has people talking about the Phillies. They truly would have been better off stinking as badly as the Sixers and Phillies did; the half-rebuild hasn't really served anybody. Would even a first-round win (finally) be enough to make this a good season, and a return for Hakstol? They do need to wait for JVR but if things are bad at Christmas I gotta think you see a change. That doesn't mean it would actually help. 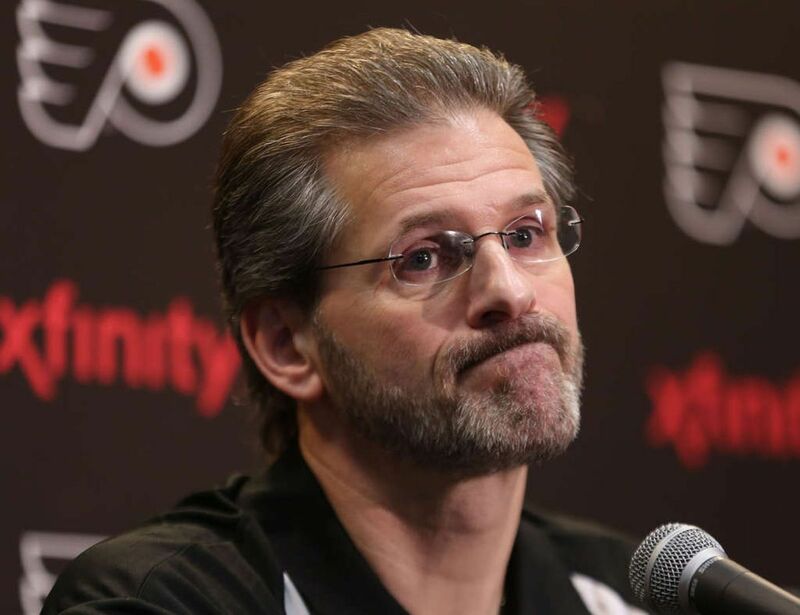 Philadelphia Flyers Fire GM Ron Hextall this morning. One assumes he didn't want to fire Hakstol. And, as ever with these sort of things, he also wasn't hired by his current boss (in the Flyers case it is essentially like they have a different owner, even). Perhaps Hextall is moving too deliberate for the ultimate PTB taste...or, dare I say, they were losing patience with The Process? I disagree that Hextall has done a good job. The Flyers have not progressed at all since he's been hired and there has not been one difference making player produced. While there might be some nice young players on the team now, there is no one that really stands out. As far as the minor league system being stocked with talent, how much longer is it going to take for these guys to make it to the NHL? A mistake the Flyers have continued make is overvaluing their draft picks and players and as usual they con the fans into believing the same thing. This is why the coach is always made the scapegoat. Not saying Hakstol is a good coach either, but what other coach is going to get that much more production out of this current roster with no goalie. How can you go into this season thinking you were ok with this current goalie situation? Does that not fall on the GM? To me, it's just the fact that the Flyers hired another Ex-Flyer in a front office position and still nothing has changed. The real problem is guys like Holmgren and Clarke still having a major influence on the team. How has Paul Holmgren been promoted to the point he is overseeing the team. I feel like until all these Flyers old heads die, nothing will ever change because they cannot let go. Second time I've seen this mentioned. Specifically, they weren't allowed in the locker room after games. Same old Flyers. The new general manager will have a lot of quick, important decisions to make, most notably what to do with Wayne Simmonds and his expiring contract. Hextall, a former star goalie with the Flyers, kept the ex-players at a distance, which didn’t make Holmgren happy, said a key member of 1974 and 1975 Stanley Cup champions, who asked to remain anonymous. With the Snider's gone, why in the world is Paul Holmgren running things? 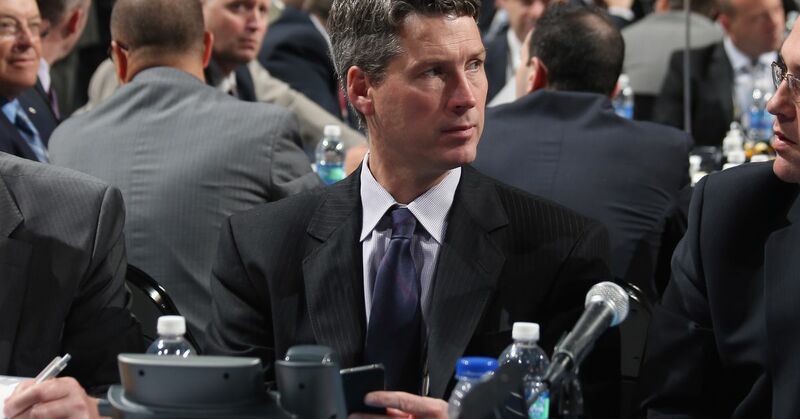 Chuck Fletcher is the new Flyers GM. The Harvard grad had a mostly successful nine-year run as the Minnesota Wild GM before being fired after last season. Some will complain about this hire. I'm neutral with it. Lets give him time to settle in and see what he does before coming to any conclusions. There might have been other quality candidates but the Flyers FO said a week ago that they wanted someone who had GM experience. They were good on their word. Harvard grad...what could go wrong? I would expect he's open to analytical input and knows how to relate to his coach and the players. Might work out well. I'm on board if he promotes Hart soon. Currently working as a senior advisor with New Jersey, Fletcher is considered the frontrunner to replace Ron Hextall. Why do you (and others) want Hart promoted soon? Seems like he could use a litttle more time in the AHL even if the Flyers can use him (which is exactly the wrong reason to bring him up). It's one thing to allow organizational legends to dictate how the team is built and that is not a good thing. The Flyers and Phillies were both guilty of that for a long time and for clinging to the "keep it in the family" ideal which while well-intentioned held the organization back a great deal. But, it's another thing--and, I believe, a good thing--to give the present players a chance to connect with organizational legends to help them respect and appreciate the team's tradition (just as long as they're not whispering into the owner's ear about how the owner should be yelling into the GM's ear about how to do his job). It is a return to the norm for the Flyers after trying out a different course. That different course cleaned up our horrible cap position and re-stocked the farm system in depth the organization had not known for decades. However, it was always hamstrung by the upper mgmt directive to win while rebuilding. That is the most difficult task to pull off. Hextall did the best he could, but eventually they got impatient and stopped trusting the process. Fletcher is an establishment GM, more capable than Homer, but that is a pretty low bar. Rumors are they are demanding moves before the trade deadline to improve the team. That always scares me with the Flyers as they have a long and terrible history of trading prospects for vets and messing up our cap position again. I wish Hextall the best; hopefully he'll get another shot to realize his vision learned in LA and partially implemented here in Philadelphia. Of course respecting team history is good and Hextall, of all people, surely knows that. But there is a difference between letting people use it as a clubhouse (including the owner) and keeping it a place of business (and a sanctuary for the current team). With the Flyers, the line between former players and middle/upper management has always been too shaky to have a useful boundary. How are you supposed to relax and have a beer with Hound Dog Kelly if Homer and Clarkey are also in the room? But they do seem determined to get away from the Flyers lifer thing; Hextall was middle ground there, and Hakstol was his very deliberate move away from that. Why Homer is still there really is kind of a mystery. I mean, to put it in Phillies terms Dave Scott is Middleton and Homer is MacPhail but it doesn't seem like there truly needs to be another layer of command there. I believe Luuko did both jobs (running Comcast Spectacor and also running the Flyers). That said, you wouldn't have necessarily wanted Scott to run this GM search. Of course you didn't really want Mr. Snider making those decisions either. [Hakstol] was the 16th coach the Flyers had hired since Fred Shero led them to back-to-back championships in 1974 and 1975. His 277 games rank third all-time among Flyers coaches. Dave Hakstol will be fired midway through his fourth season, while Joel Quenneville, the three-time Cup champion, will be brought in to replace him.